Frugal Fitness: Nutrition Tip: Eat Fresh & Local! Nutrition Tip: Eat Fresh & Local! Now that it's summer time, you definitely want to take advantage of the fresh fruits, vegetables, and grains that are being produced locally and fresh from the farm. During the colder months (of which there are many in New England), so much of the produce is shipped from other countries with warmer weather and the result is sometimes lower quality food. These foods are usually older and could potentially be contaminated during the long transportation process. 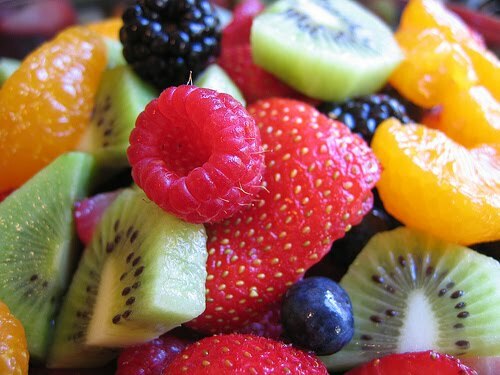 Fruits and vegetables that are fresh have the highest concentration of antioxidants and nutrients. Also, food grown in other countries may have been produced with lower standards than in the United States. Make sure to always thoroughly wash your fruits and vegetables before eating them, regardless of where and when you buy them. Buying local produce is also very important for the local and national farms and the United States economy. So enjoy the fresh local food while you can and stock up! Your body will thank you.